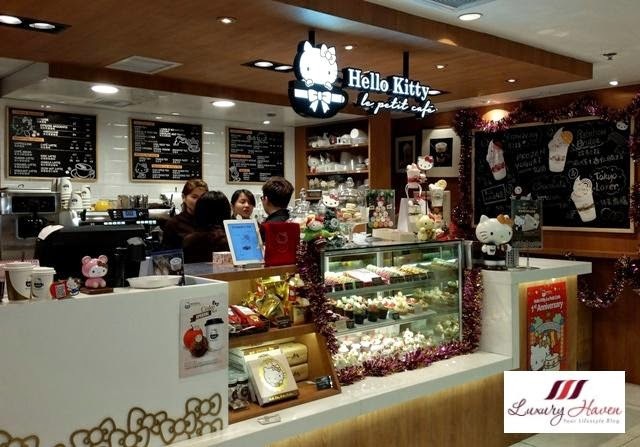 You are here:Home » Travel » Hello Kitty Café and Kilara Shopping in Hong Kong! 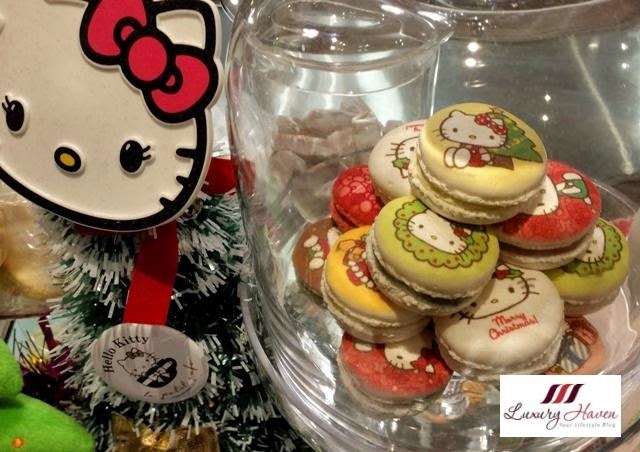 For those visiting Hong Kong, you will be awed by the fanciful pastries their Hello Kitty Café has in store for you, and the lines of Hello Kitty fashion wear for both adults and children #Kilara has to offer. I am always on the look out for Hello Kitty stuff during my travels, and Hong Kong is one of the places with my favourite Japanese mouthless character sprawling all over the city. 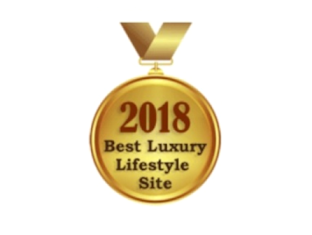 Let’s check them out! 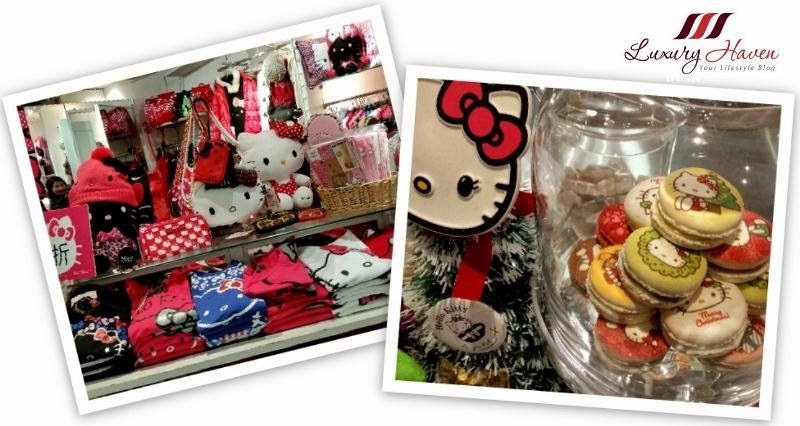 During my trip to Hong Kong last December, I went to my usual Hello Kitty hunt located in SOGO Tsim Sa Tsui. 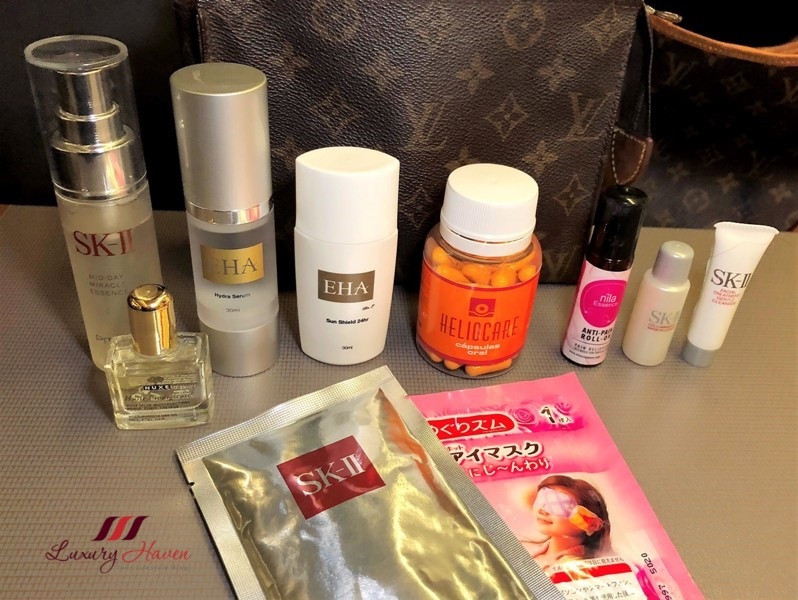 I wrote about it in Hello Kitty Shopping In Hong Kong some years back, which you can see some of the pretty stuff I got there. I was kinda disappointed to learn that the Hello Kitty Kilara outlet was gone! I could not find the boutique anywhere inside SOGO. For those not familiar with the brand, Ki.La.Ra is a collaboration between Sanrio and Japanese designer bringing you a line of Hello Kitty young fashion wear, which in my opinion, very much more affordable. 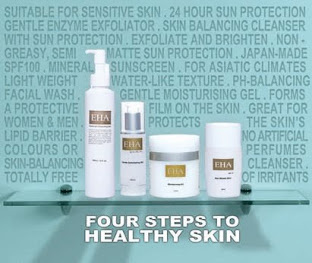 Although Kilara is gone from SOGO Tsim Sa Tsui, you can still find the brand in few other places. 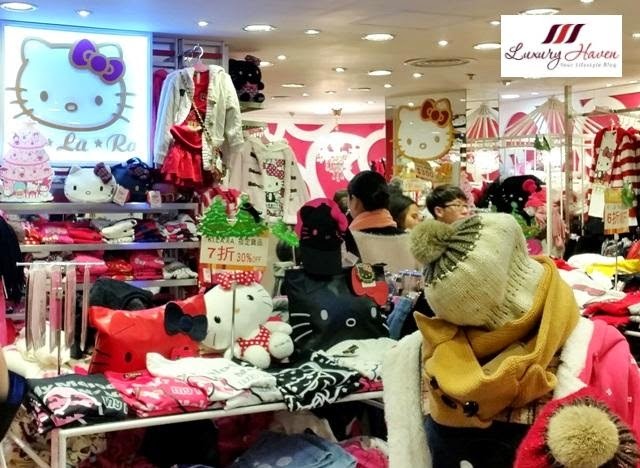 One of the Kilara outlets is at the Japanese departmental store SOGO in Causeway Bay ( 銅鑼灣 ), where you can see a huge colourful range of cute Hello Kitty t-shirts, knitted wear, cardigans, shorts, pants, skirts, and bags. Best part, they are both for children and adults!! 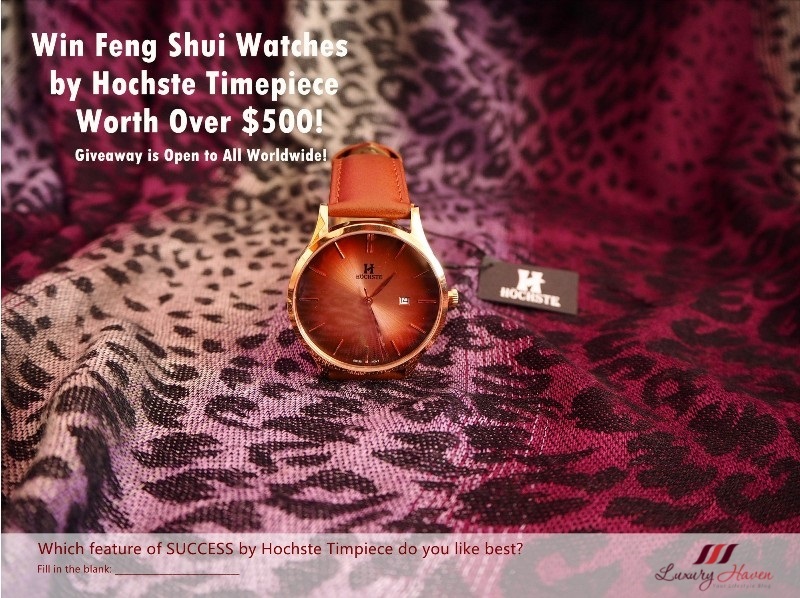 I was really lucky as a winter sale was going on then, with discounts of up to 50%! Can you imagine how delighted I was? 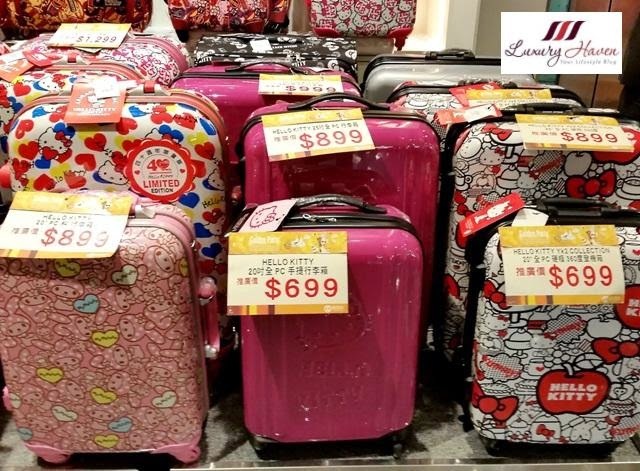 If you are looking for travelling bags, SOGO Causeway Bay also carries a range of Hello Kitty luggage bags. 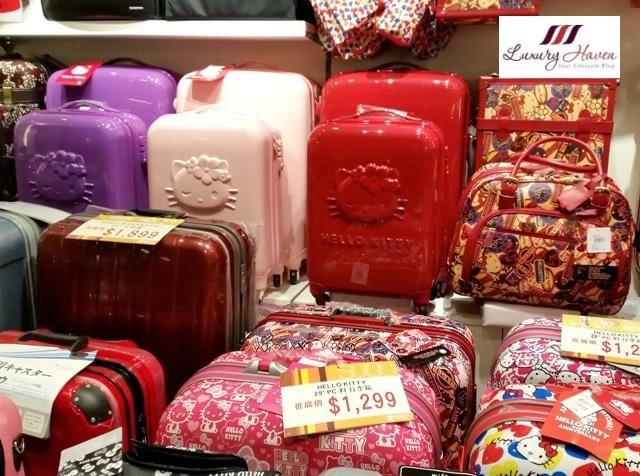 Check out these multi-coloured luggage bags from HKD 699. 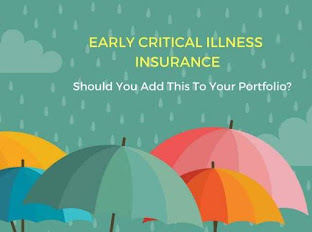 Take your pick! 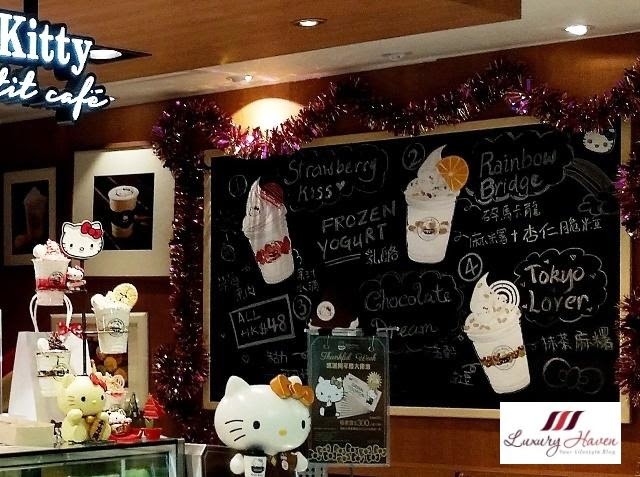 Head down to the basement of SOGO once you are done with your shopping, and look out for the Hello Kitty Le Petit Café. Although a café, there is no seating area though. 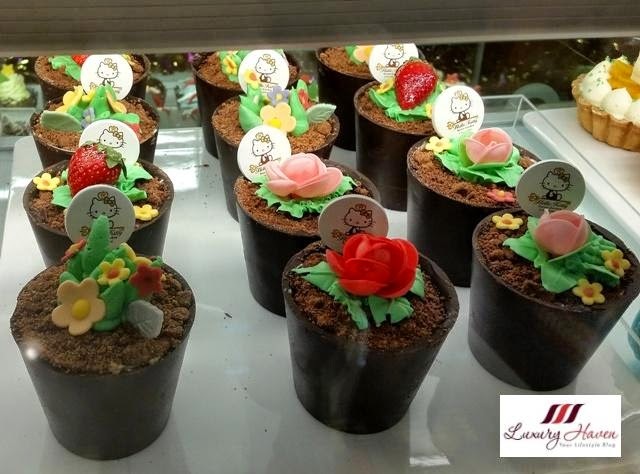 Le Petit is a small café that serves adorable Hello Kitty themed drinks and desserts like cupcakes, macarons, potted plant puddings etc. I also spotted some charming My Melody desserts. So cute, aren’t they? 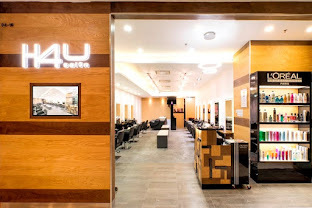 If you are in the Hong Kong CBD area, head to the Central MTR Station ( 中環 ) and you will be able to find another Kilara outlet located inside the station. 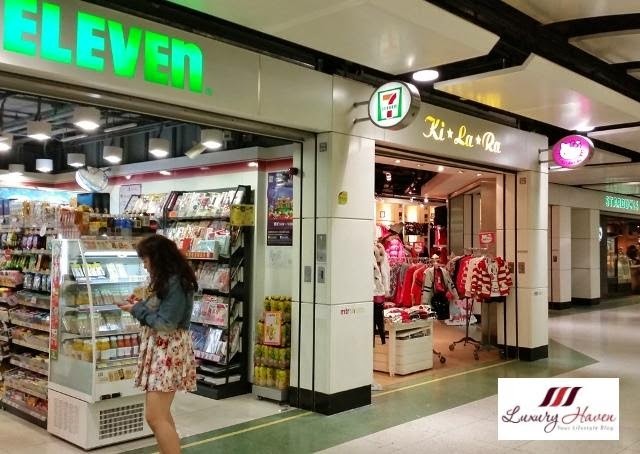 When you are there, look out for 7-Elven and Starbucks, the Hello Kitty shop is in between them. Here, you will find more Hello Kitty stuff and also other Sanrio characters like My Melody. 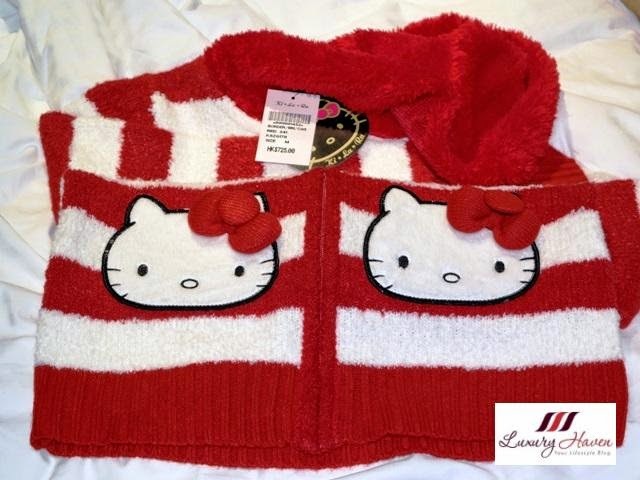 My favourite buy is this red and white striped Hello Kitty cardigan, retailing at HKD 725 (approx USD 90+). Since it was on sale, I got it at a 30% discount. Look at the cute Hello Kitty pockets! 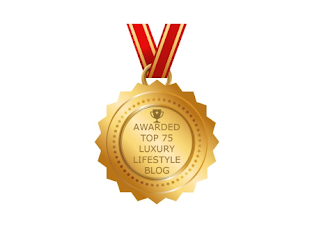 Well, this rounds off my series of post on Hong Kong! How do I look in my Hello Kitty knitted wear? The cardigan is soft and comfy, perfect to wear on board the plane. 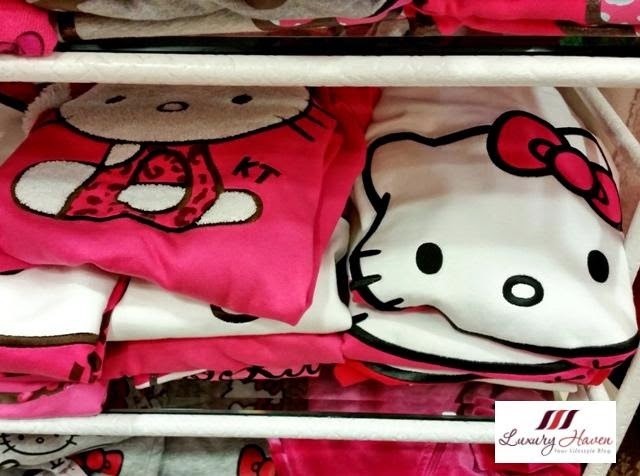 Are you a Hello Kitty fan too? 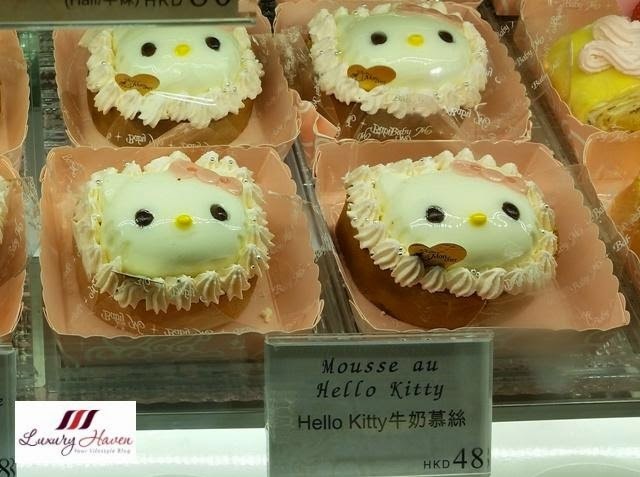 Check out my other adventures at Hello Kitty Shopping In Japan, ハローキティ ショッピングへ行きましょう, and Hello Kitty Cakes At Sanrio Puroland Sweets Shop In Shinjuku! Wow! So many Hello Kitty stuff! I like that cute macarons. What a lovely hello kitty cafe...the deserts look yummy...and you are adorable in that hello kitty sweater. 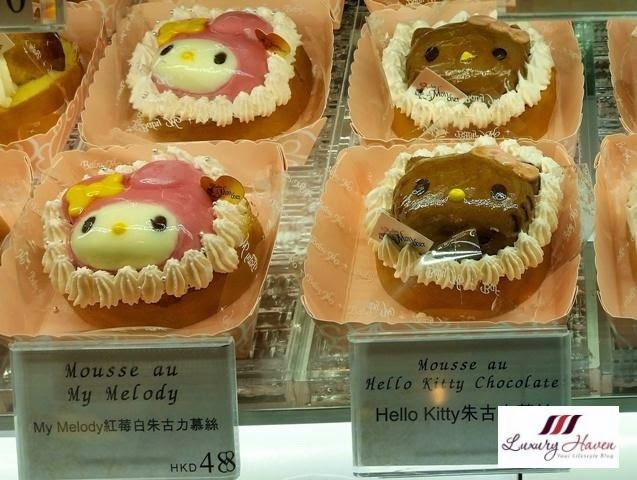 I need to visit Hong Kong they rock with Hello Kitty amazing delicious place to be. aww what an awesome place Shirley! She's was one of my face cartoon characters when I was younger and I had lots of stuff with Hello Kitty brand. I guess when I grew up some people told me that it was a little childish. Haha! But I still like Hello Kitty. Take it as we're young at heart, Heide. Hahaha! 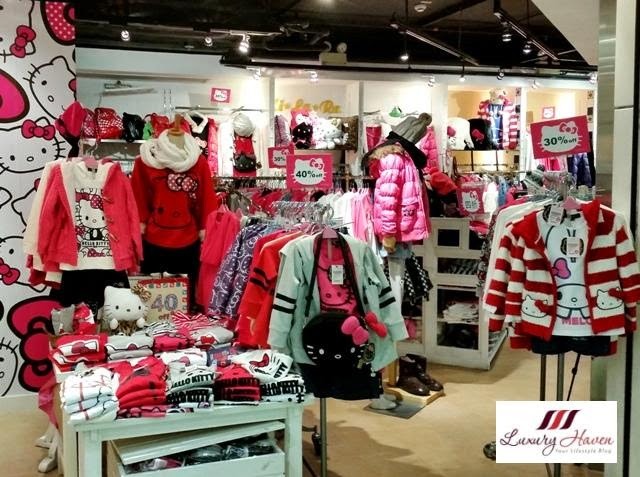 Lovely store, perfect for my daughther Becky!!!!! 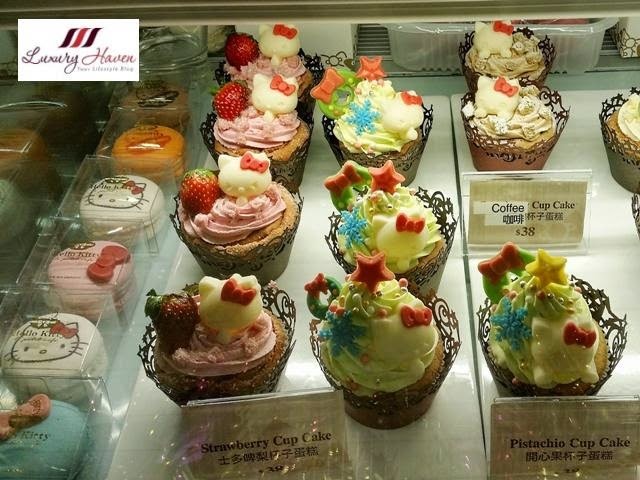 Those Hello Kitty baked goods are adorable! Looking good with the kitty look Shirley. Not really a fan of those things but I like to admire. Saw plenty during my trip to Hokkaido. Nice & pretty Hello kitty stuff! And not forgetting the desserts.....how could I bear to eat it.....Hey! I spotted your potted plant dessert "imitation".... haha! Oh My God..this place is like paradise for me..i m a big fan of Hello Kitty! This is like Hello Kitty paradise! Your cardigan is so cute Shirley! Rowena, you're the 3rd person that tells me Ji is a different character in The Healer, but I just can't get rid of his weakling role in Empress Ki. Hahaha! Haha, a true paradise for Hello Kitty lovers! 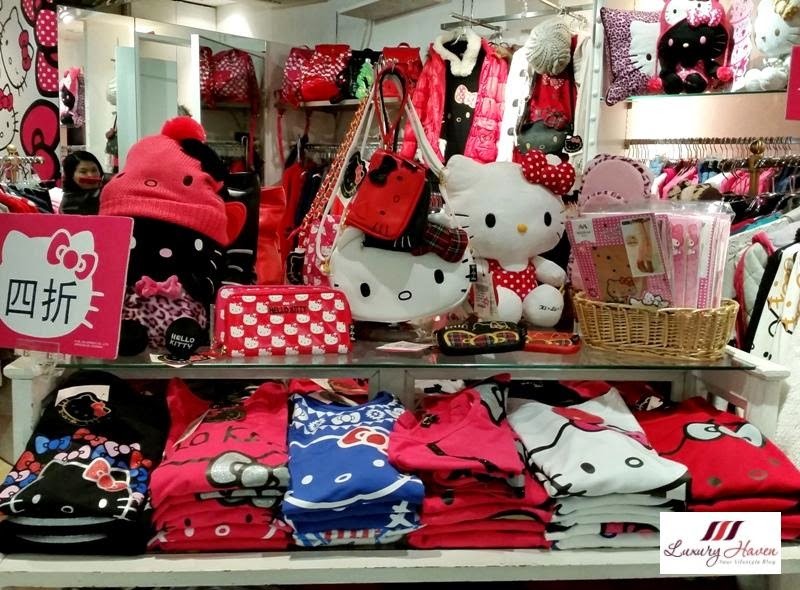 Omg this is Hello Kitty heaven!! Those suitcases are sooo cute, I want one! Those macarons are so cute. I wonder if they taste as good as they look. Oh yes, I saw pix of the #HelloKitty Chinese restaurant circulating in Facebook. I'm going crazy soon, Ken. Hahaha! Oh dear!! I would have loved to eat one of those plant cakes and I would have loved to get a t-shirt and a few other knick knacks! Love your sweater! Just so gorgeous and cute! That cardigan looks great on you. I love the macarons, they are amazing! 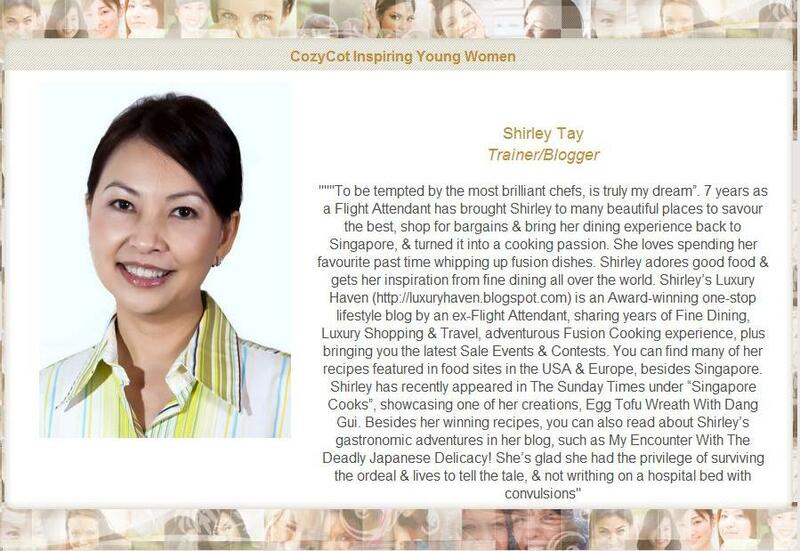 Hi Shirley...all I can say Kawaii!! Kawaii!!! Oh my gosh! 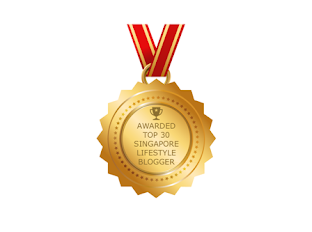 How amazing is that? I love Hello Kitty! You look always really amazing!!! I know you are a Hello Kitty Fan. You look so cute in your Hello Kitty Cardigan. I have a McD Black Hello Kitty. Do you collect Hello Kitty from McD? Hey thanks, Mun! Sorry for the late response cause I've been swamped! I used to collect when I had a maid, but not anymore cause they're collecting dust. I'm the maid now, so very lazy to clean up. Hahaha! Happy Easter m y sweet Shirley!!! !